That's a cool looking gadget! I really could have used something like that when I was still cooking ground beef! a mandolin slicer is one of my faves . until i cut myself on it . now it just sits there daring me to try it again without the safety holder ! guys................ always use the safety holder . i miss my fingertip ! I have one I use to slice potatoes to make homemade chips. Pssst...hey, Mrs. Bubba...Christmas is just a few months away! 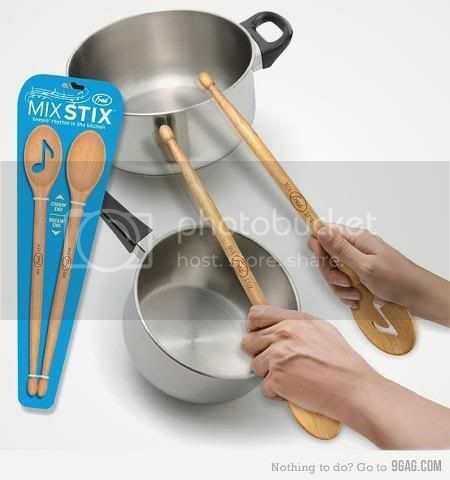 I wish they'd have had these when I was 3!...may have saved my Mom some dented pots & pans, bent spoons....! "Rollin' numbers, rock-n-rollin', got my Kiss records out!" Victorio food strainer. Buy it! much better than my kitchen aid food strainer. (07-24-2012 09:26 AM)Nawlins Wrote: Pssst...hey, Mrs. Bubba...Christmas is just a few months away! "One ounce perception...One pound obscure"
400 degrees. F or C? You are Canadian, so I had to ask, eh?